Weehbo was founded in 2008 by Eike Hintzen. Operating out of Germany, the company consists solely of Eike who crafts each pedal by hand and handles all operations. 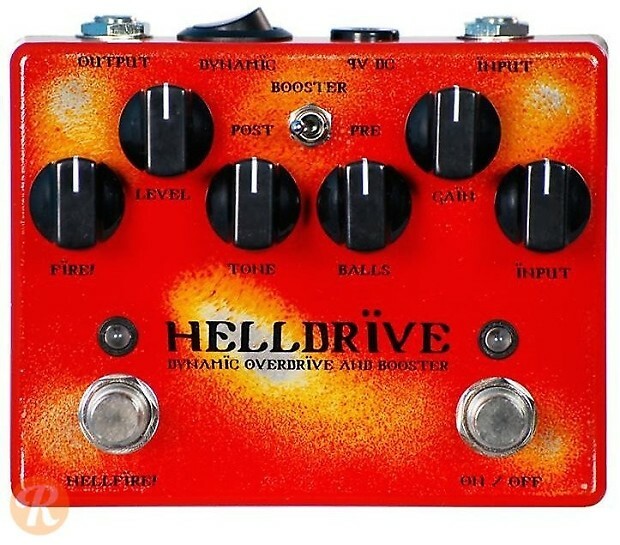 The Helldrive features internal trimmer resistors, Input, Balls and Tone knobs for precise sculpting of the overdrive character, and a switch for pre and post boosts to emphasize gain or volume respectively.